People have seemingly forgotten how good, and how versatile, of a player Gordon Hayward is. After Jayson Tatum's ascension to stardom and Terry Rozier's stellar playoff run, Hayward was a distant memory after his horrific leg injury. But Hayward's impact hasn't been lost on head coach Brad Stevens. 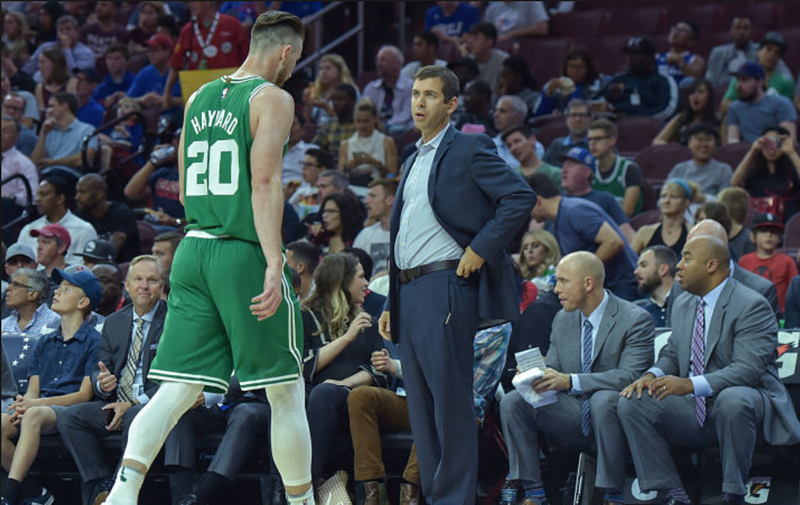 With Media Day and the first few days of training camp in the rear view mirror, Stevens has talked multiple times about the varying abilities of Hayward, and how he can impact winning in a number of ways. Whether his length on the defensive end, or his above-average play in pretty much any offensive category, Hayward has proven capable of succeeding in any situation he is asked to take on. With talented creators on the floor like Kyrie Irving and Al Horford, it won't always be necessary for Hayward to be the primary ball-handler. But having that as an option will open up a number of lineup possibilities. Hayward could be initiating the offense on one trip up the floor, then rolling to the basket after setting a high screen for Irving on the next. It will be hard to find enough touches for Boston's group of star wings, but allowing Hayward to spend time running the show should open up opportunities for Jayson Tatum and Jaylen Brown to shine. Brad Stevens hyping Hayward's ability to play PG again: "Gordon's ability to play as the primary ball handler will open up opportunities there (playing alongside other wings). ... We're going to have all those guys out there at once and hopefully be very versatile." During the 2017-2018 NBA season, the Celtics' offensive rating dropped from 111.7 to 104.6, a difference of 7.1 points, when Irving left the floor. "Point-Hayward" should alleviate some of those issues. The wealth of talent should help sustain the offensive output this year, but being able to sit down Irving and still have an All-Star-caliber offensive talent running the show isn't something that too many teams can match. Outside of a few meaningless preseason games, we haven't seen this Celtics team fully assembled in action. As Stevens' indicates, Hayward's role will change a lot and he will have to wear a number of hats this year. But all Hayward cares about is making sure that one of those is an NBA Championship hat when it's all said and done.